Want to be a Hot Pink Witch this Halloween? 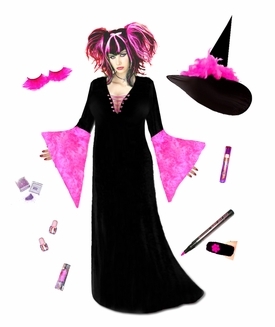 With this economy Plus Size Witch Costume dress and accessory kit, you will have everything you need! Yummy soft black crush velvet, with big long hot pink bell sleeves. The dress is nice & long at 50"/52", but available longer or shorter as a special order! Machine washable, made in the USA. 6. Draw a design on your nails! Hot pink nail art pen! 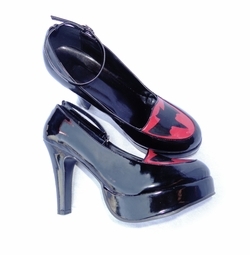 Plus there is an option to add a beautiful black & pink wig to complete the look!